2. Your Microsoft account that you have used to log in to OneDrive. 3. Turn on mobile data or Wi-Fi when doing backup. 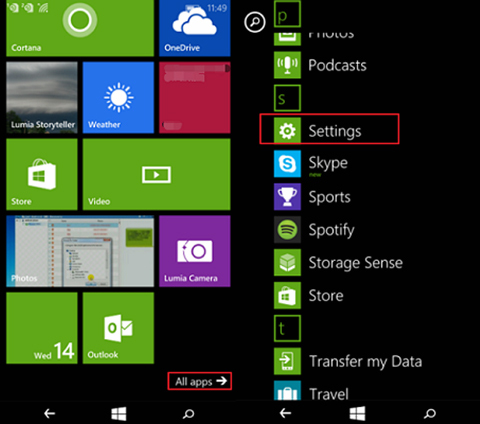 Turn on your Windows phone, tap "All apps" from the screen. Then you will have a list of all kinds of apps in your phone. Scroll down the page and choose "Settings". Choose, "emal+accounts". Then you can tap the option "add an account". 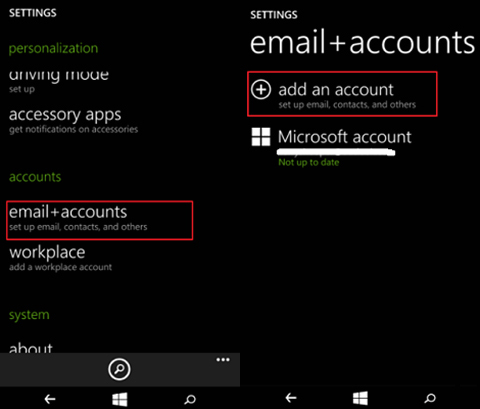 This allows you to set up email, contacts, and others. Choose a mailbox type from the list. 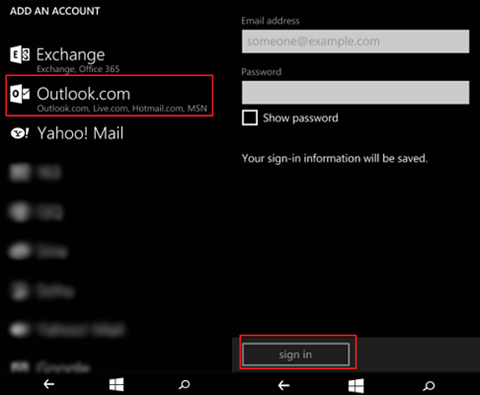 For example, you can choose "Outlook.com", which includes Outlook.com, Live.com, Hotmail.com and MSN. Just enter your email address and password and click "Sign in". Then, you will log in to your account successfully and the sign-in information will be saved automatically. 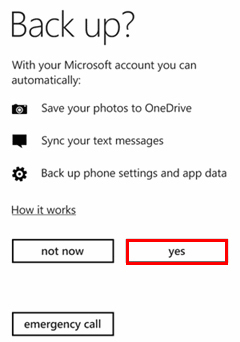 Now, you can click the button of "Yes" and your Windows phone's contacts can be backed up to OneDrive automatically with your Microsoft account. After you have your contacts backed up on OneDrive, you can access it or download it anytime you like.